A-Pon is a 15-year-old Japanese student, model, and actress who we often see around the streets of Harajuku. 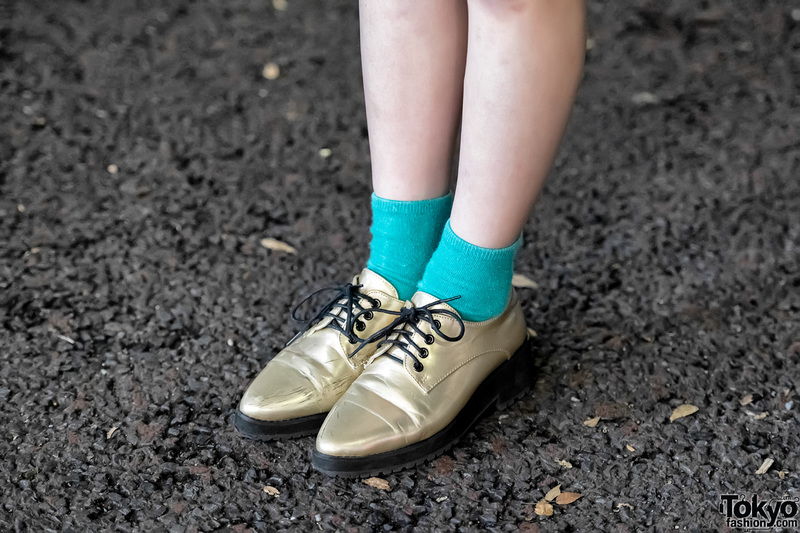 Her colorful retro look here features a Benetton jacket over a WEGO sweater, a skirt from Sly, and gold WEGO shoes. 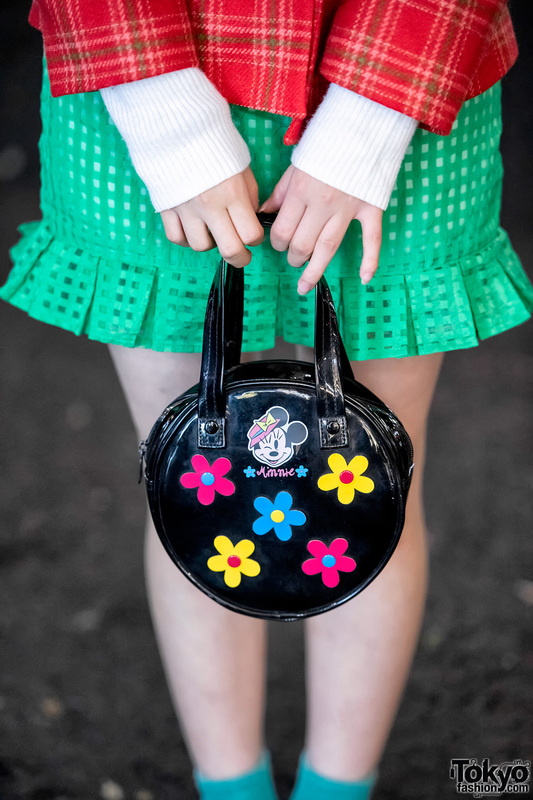 Accessories include a yellow beret, Chanel earrings, a belt from Tokyo vintage boutique G2?, and a round handbag with Minnie Mouse and flower power stickers. 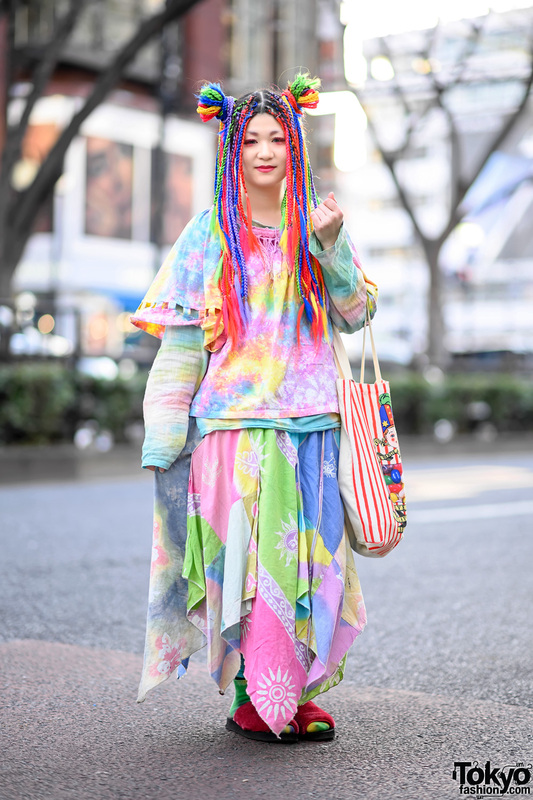 A-Pon’s favorite fashion brand is the Harajuku label RRR By Sugar Spot Factory. She likes the music of Sheena Ringo. Follow A-Pon on Instagram or Twitter for more of her retro vintage street styles.